We’ll never know how far this semi-truck was able to safely travel with its cargo box tilted skyward, but you can definitely see where it stops. 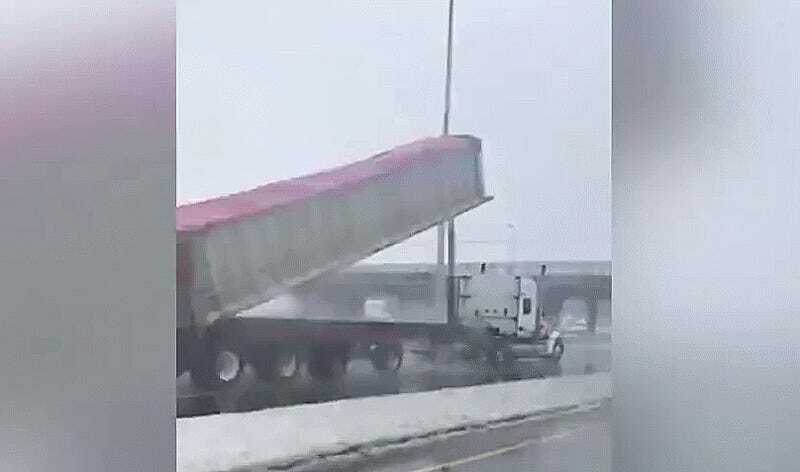 Don’t worry, we can laugh, because according to Le Journal De Montreal nobody was hurt in this ridiculous truck-versus-bridge jousting match. But apparently Highway 40 near Repentigny, Québec was closed for some time while road crews swept up a whole lot of spilled sand.